Who you know. Who your parents were. What schools you attended. What’s on your résumé. Your curriculum vitae. I’ve always liked to think we start life with a clean slate, on equal footing with the next person, but working for two decades at a wealthy private school has convinced me otherwise. Reading in the paper about the obstacle that race can be has convinced me otherwise. Connections don’t guarantee success, of course, but they can help. John the Baptist was from “a good family.” He had plenty of connections with the wealthy Pharisees. Luke says that his parents were of the priestly class and his mother was descended from Aaron, the brother of Moses. He was familiar with the Temple establishment. He could have probably used these connections to advance himself and do some good in the world. Mary was the opposite: young, quiet, pious, subservient, obedient. She is the rose of the faith and we light her candle on Sunday. Mary and John have a deeper connection than Elizabeth, Mary’s cousin, who is also the mother of John. John and Mary are key players in the lessons this coming Sunday. Question: Whose words have been banned by five countries in the modern era? Question: Who rails against the powerful and says that God will level the playing field? Question: Which person’s family connections most advance their message? Consider the following statement: Christmas is mainly for children. There’s lots to talk about, to pray about, to be grateful for, even to be shocked about on Sunday, including the questions above. See you in church. “Answers” provided then. Like most things, it’s not simple, at least not to me when I am honest with myself. My credentials: decades teaching “cross-cultural studies” to high school seniors. Keynote speaker at two national diversity conferences. Interviewed several African-American Episcopalians including an eloquent 104-year-old black man who was the brother-in-law of Duke Ellington and the whose family first crossed the color line in Minneapolis (40th Street). Mother of a gay daughter and a straight daughter. Being a woman in America. Knowing two people personally who live in Ferguson, Missouri; granted, they’re white. I cite the credentials because I am nervous speaking about this topic, about saying something politically incorrect, about hurting someone, about remaining honest and true to what I really feel and think and frankly, about the eye-rolling that happens if I’m labeled as another privileged whitie who doesn’t get it. ~ I can go shopping alone most of the time, pretty well assured that I will not be followed or harassed. ~ When I am told about our national heritage or about “civilization,” I am shown that people of my color made it what it is. ~ I can take a job with an affirmative action employer without having my co-workers on the job suspect that I got it because of my race. ~ I can chose blemish cover or bandages in “flesh” color and have them more or less match my skin. While acknowledging my white privilege, in Ferguson I identify with the mothers. The idea of sending my child into the world every day where they are far less safe than usual and perhaps targeted in some way chills me to the bone. This is the reality for many black women across the country and here in Minneapolis. I know two of them personally. I identify with people who want facts to help them make decisions, especially in a specific case where certain things did or did not happen. Although the jury is still out (well actually it isn’t), and the district attorney bungled some of the proceedings, I have no evidence that nine of the twelve jurors made their decision on the basis of race. 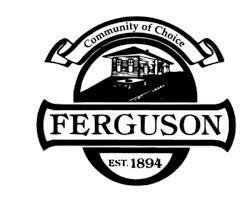 Ferguson IS about race; it is also about a specific case that has its own set of facts. I’ve learned that prejudice occurs when someone is “blamed” for something they cannot change, specifically race, gender, or sexual orientation. I am not minimizing race or changing the subject here. I have very little idea what it’s like to be a black person in America. I am eager to listen, to learn, to be an ally, to work for change. But I DO know what it’s like to be a woman in America in the past 50 years (gender being something that cannot – usually – be changed). Cue the refrain that sexism is passé, we’re over that now, feminism doesn’t interest younger women, etc. However, I have not only experienced gender-based discrimination full blast “back in the day,” I think it is still a factor in this diocese and in this church. I see it when women don’t speak up in a meeting full of men, and when women are spoken to in ways that men are not: dismissed, disregarded, made to feel unsafe or even bullied. In OUR church? At St. John’s? Oh come on. We’re over that. To get this response may be something of what it feels like to be black in America. I am not minimizing racial issues for talk of gender, although I feel sexism is still alive and well. I am looking for a way in. I think most of us are.